Is it just me or is everyone obsessed with coconuts lately? Like, every single part of the coconut. Coconut milk, coconut water, coconut butter, coconut oil, coconut sugar, coconut flour, shredded coconut. Did I miss any parts? Probably. At least all the the coconuts died for a cause. Every part of them was put to use. I bet someone is even wearing a coconut bra somewhere. So I’ll admit, I’ve gotten on the coconut bandwagon a bit. Mostly because I LOVE coconut-flavored things and if I can use oil that makes my roasted veggies taste like a tropical island… heck, yes. It’s especially good on sweet potatoes, FYI. These muffins don’t have any actual shredded coconut in them (though you could definitely mix some in! ), but they are made with three different coconut products! They are lightly sweet with a hint of coconut flavor and oh-so-delicious. If you don’t own every coconut product on the planet, you could easily swap out equal parts butter for the coconut oil, or brown or granulated sugar for the coconut sugar. In other, non-coconutty news, my friend’s cats recently became famous and you should totally check them out. If you know me (or follow me on Instagram), you know I am kind of a crazy cat lady. I love my kitten like a child. So I was soooo excited when my fur-nephews shot to stardom overnight!! Meet Jack, Ben and Desmond. You can find them on Instagram as @tuxedotrio. They were featured on @Cats_of_Instagram and gained thousands of followers overnight. Then, they got their own Buzzfeed! Now you can follow the boys on Twitter, Facebook and their new blog, The Tuxedo Trio. I love them. Preheat oven to 400 degrees. Spray a muffin tin with nonstick spray. In a medium bowl, beat eggs lightly. Whisk in melted coconut oil, coconut sugar and vanilla. In another bowl, stir together coconut flour, salt and baking powder, breaking up any large flour lumps. Add wet ingredients to dry and stir until smooth. Fold in blueberries. 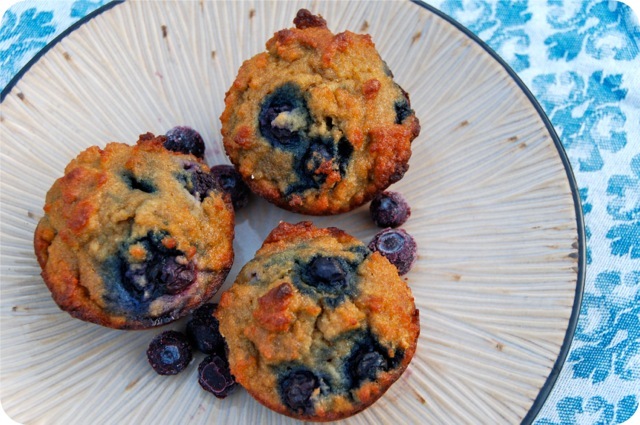 These muffins made the perfect snacks for the week! If you’ve never baked with coconut flour, it’s a little spongier than regular flour– think the texture of madeleine cookies– but quite delicious! It has some sweetness to it, so you don’t need to add a ton of sugar. They keep best in the fridge since they are super moist. If you love these muffins, here are a couple others you’ll want to check out! I love coconut so much lately! Even last night we went out for Vietnamese food and I ordered coconut chicken. So good! Can’t get enough. 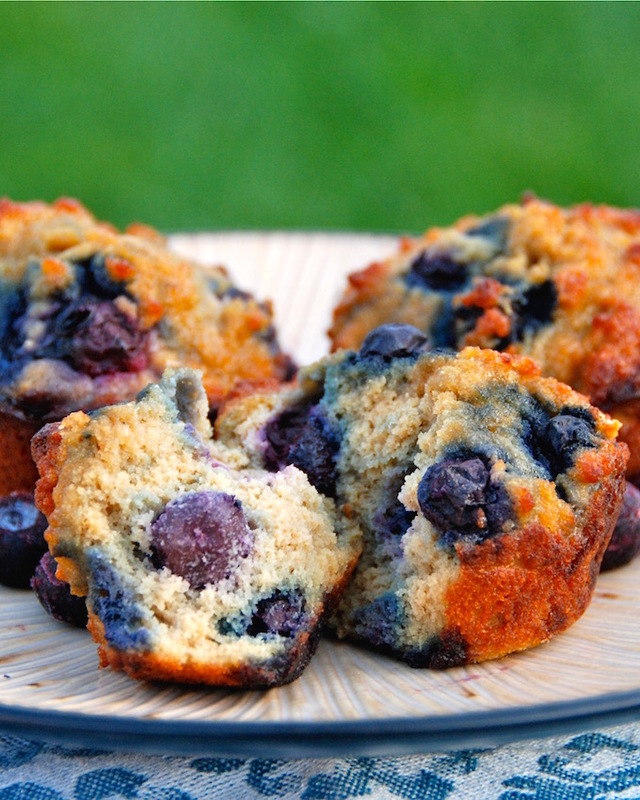 These coconut blueberry muffins sound delicious. And those cats are too cute! The combination of coconut and blueberries sounds really refreshing and perfect for summer! It’s just that coconut is so good! And the combo with blueberries sounds great as well. 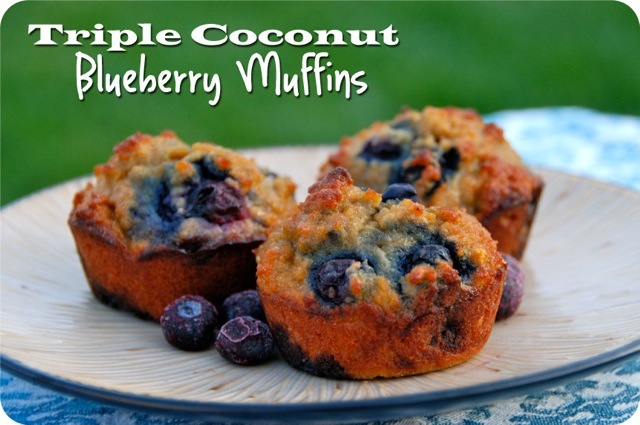 As another who loves coconut, I am so happy so see this nice and easy muffin recipe. Just what I was looking for today. Thank so much. Just pinned it to spread the coconut news.